Phentermine is typically used as an anorectic agent as an adjunct to exercise and diet for patients in specific health risk categories. 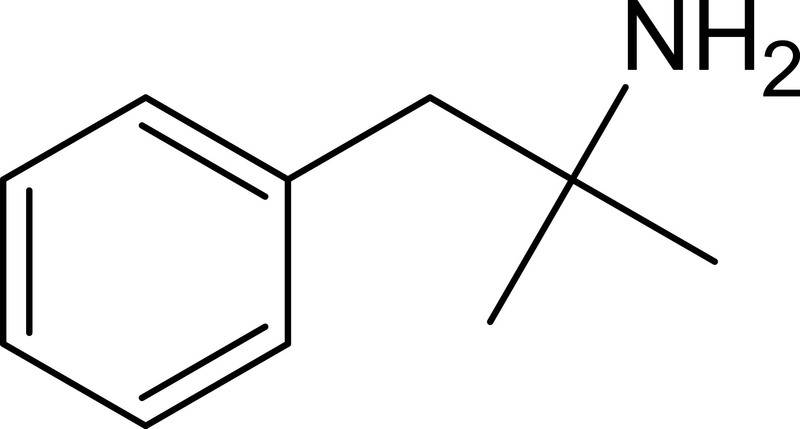 A derivative of amphetamine, phentermine produces pharmacological effects similar to the compounds within the phenethylamine drug class. Due to the possibility of dependency and abuse it is a schedule IV controlled substance recommended for short-term use by the FDA. Common trade names include: Adipex P®, Duramine®, Fastin®, Ionamin®, Minobese Forte®, Obepen®, Parmine®, Phentrol®, as well as the extended release capsule Qsymia® that was FDA approved in 2012. Contrary to prescription instructions, there are reports of patients increasing the dose in order to achieve increased efficacy. In addition, non-prescribed patients may abuse this substance in pursuit of weight loss or potential high. Side effects of phentermine use include elevated blood pressure and stimulation of the central nervous system. Sustained use can lead to a feeling of dependency and addiction as result of tolerance only after a few weeks. Misuse and abuse may cause tremors, headaches, tachycardia, psychotic episodes, nausea, vomiting, cardiac arrhythmias, hyperthermia, convulsions, coma and circulatory collapse. Over time, chronic administration may lead to severe dermatoses, marked insomnia, hyperactivity, personality changes and psychosis. PremierTox provides monitoring of phentermine administration as a stand-alone or add-on analysis using our state-of-the-art UPLC/MS/MS methodology. Similar to methamphetamine and amphetamine, phentermine is excreted primarily as the parent into the urine as a result of limited metabolic activity. The PremierTox Phentermine Quantitative Assay is performed at a cutoff concentration of 200 ng/mL.